Testers are such an important part of the indie pattern design process. 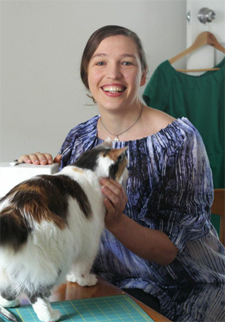 They help ensure that a pattern fits just right on a wide range of bodies and makes sense to the average sewist across the world. Good testers help me to polish off any last bits of roughness from a pattern, asking all the questions I might have missed answering. 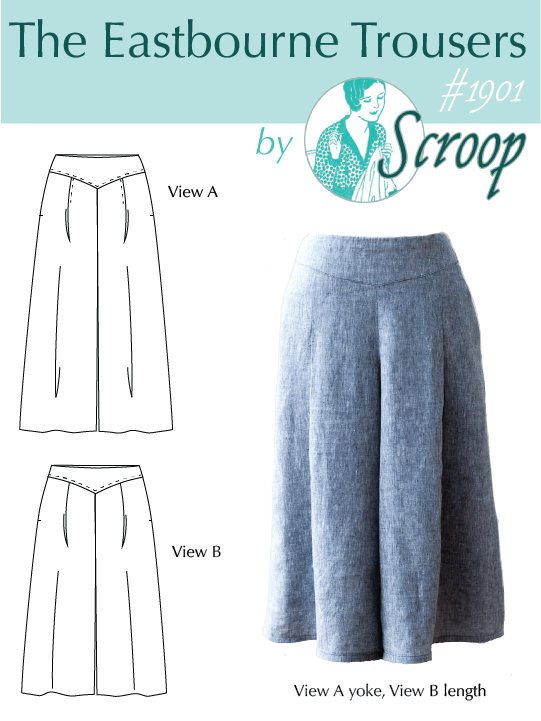 I had a fabulous group of testers for the Scroop Patterns Eastbourne Trousers. They went above and beyond with providing feedback – even in the midst of horrible storms, and hospital visits. I am phenomenally grateful for their help. Here are the tester makes! 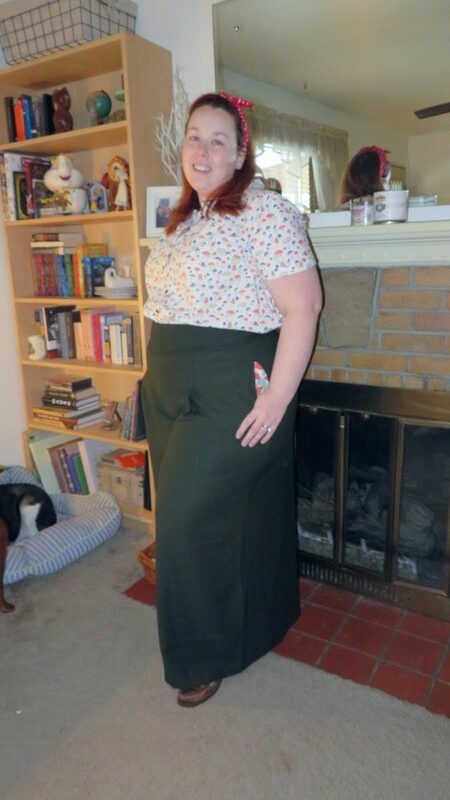 Mandy made no alterations at all to her View A Eastbourne’s, except to shorten them at the hem. 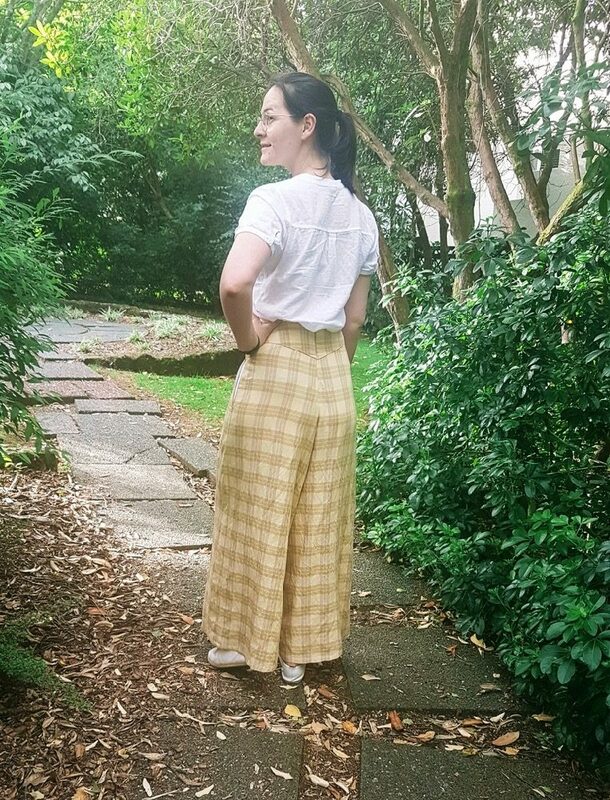 Xyllia Handmade loves yellow as much as I do – and I think she may manage to sew with it even more often! 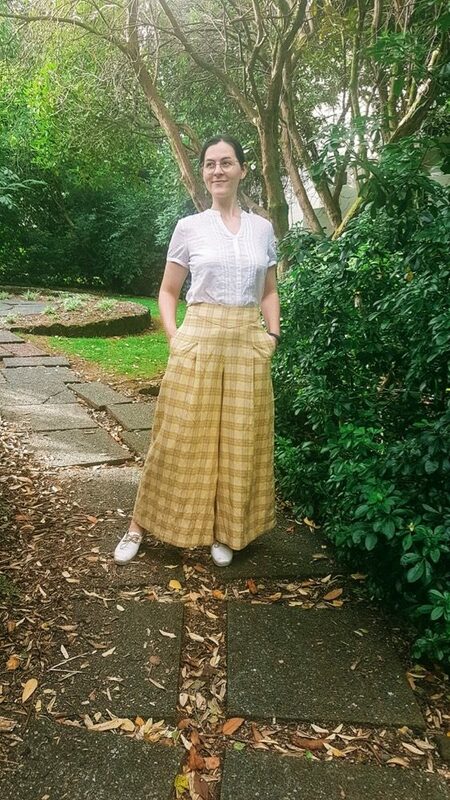 I really love the soft, buttery yellow of her Eastbourne trial, because it manages to be a neutral that you can pair with a lot of things, despite being well, enormous yellow checks! 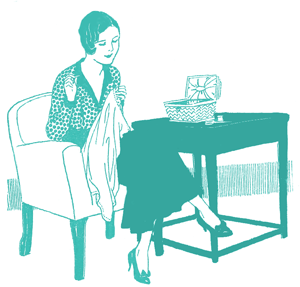 The fabric is a linen-viscose blend (yum!) and she made View A – high yoke, full length. 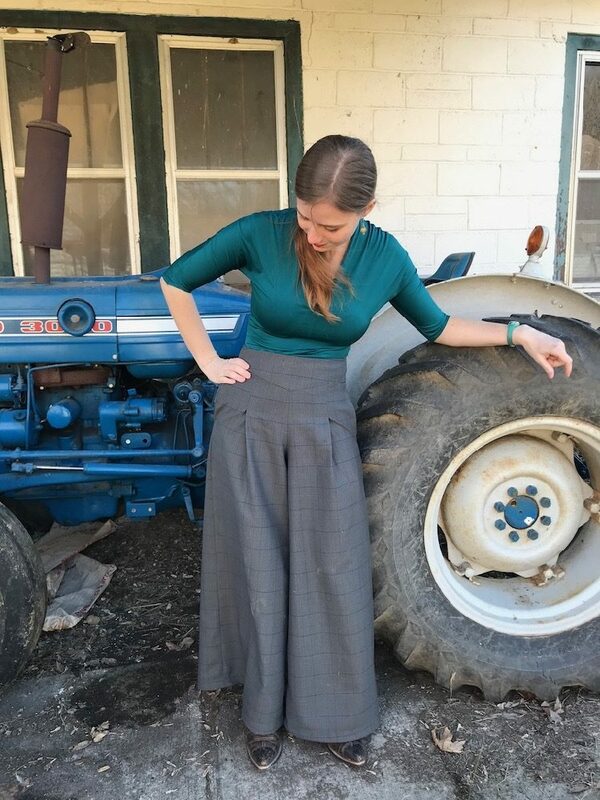 I really love the olive wool of Katie’s Eastbourne’s – it gives them a real 1940s vibe, and makes them great for winter wear. 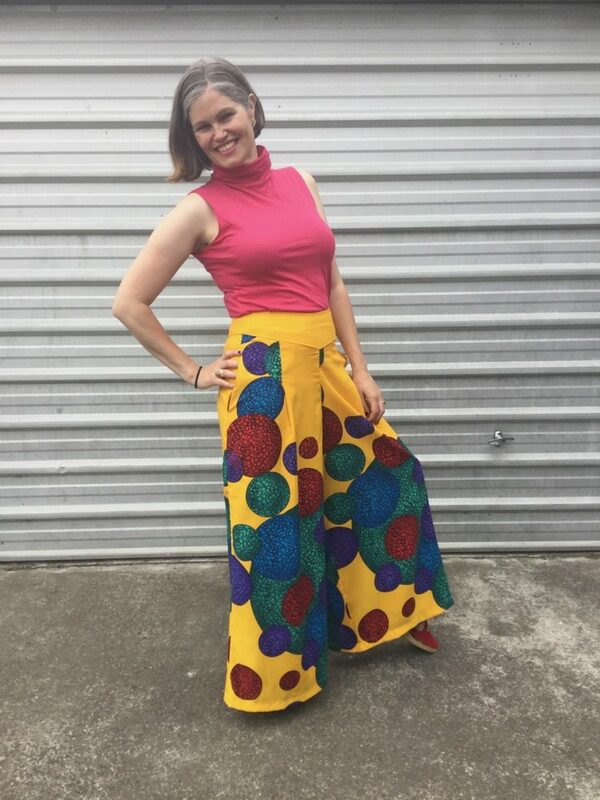 She opted for fun pocket inners, which is awesome, but also makes the pocket gaping issue that the tester version had pretty obvious – but don’t worry, I’ve fixed that in the final pattern! And I’ve added a tutorial on how to do contrast/statement (aka, fun) pocket linings in the Eastbourne’s without any chance of the pocket lining showing to my to-do list! 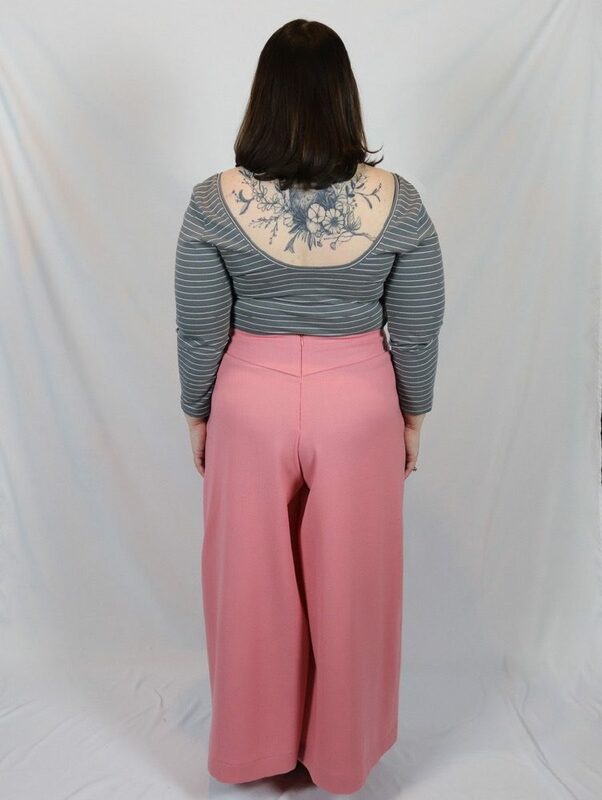 Alyssa also tested the Otari Hoodie, and I couldn’t pass her up as a tester for the Eastbourne Trousers, because she is such a great tester: very detailed, very thoughtful in her makes, always ahead of schedules, and such fun photographs! Sadly, no baby goats this time, but we do get a very cool tractor, AND she’s wearing a Miramar top with her Eastbourne’s (extra extra brownie points there!). 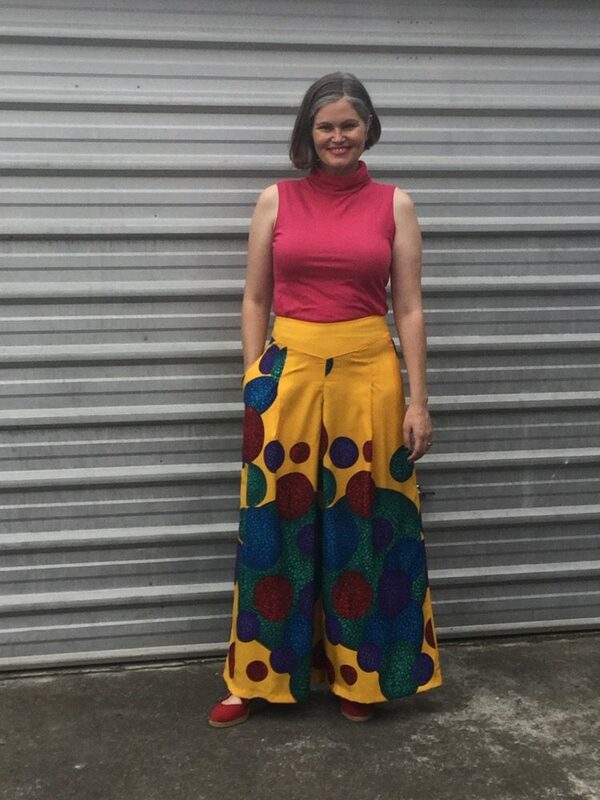 Naomi has the most fantastic, avant garde, offbeat, fearless style in her sewing wardrobe, and she did not disappoint with her Eastbourne trousers! I think it will be a long time before anyone else makes a pair of Eastbournes quite as amazing as these. I love them both, but I particularly adore the matching top that turns the summer pair into a beach pyjama type outfit. Too wonderful! Five other amazing women also tested the Eastbournes, but haven’t managed to get images they wanted to share yet (in a weird coincidence, four of the five were the testers who did View B). They all shared lots of photos of their mock ups and testing, and helped make sure the pattern was as good as possible. A huge thank you to everyone who tested! I really enjoyed working with you, and am very grateful for your time and feedback. Ok, now I want a pink pair too! It’s so much fun to see how others have made the pattern! Thanks for having me test and including me in the round-up! Thank you for being an awesome tester! Interesting pattern. I don’t do center back zips but this does look like it could be easily adapted to a side pocket opening. My plate is full right now with patterns I am trying out but you are now in my bookmarks. 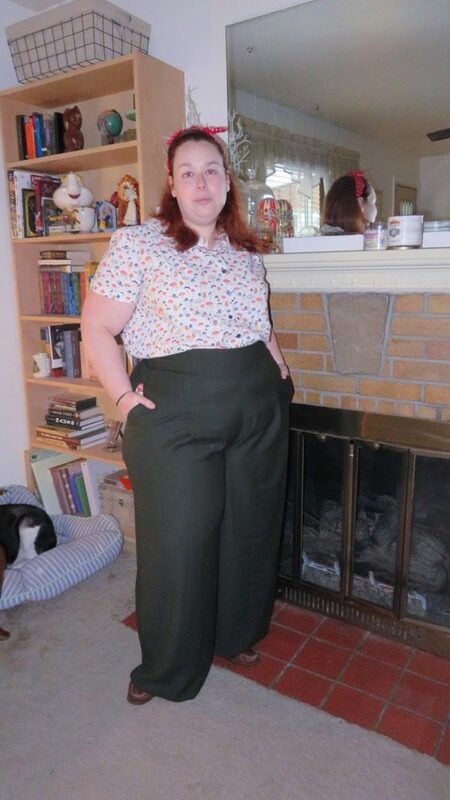 A sewing friend pointed me in your direction when we were discussing the bruhaha on the internet over plus size patterns and the lack of them. Thank you for weighing in with “what is real in the trenches” of micro-business pattern making. Thanks! 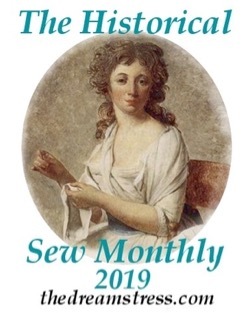 I know not everyone likes central back zips – I decided it worked best with this pattern because it’s one that often works in very light fabrics, and a side zip sometimes interfered with the proper hang of those. 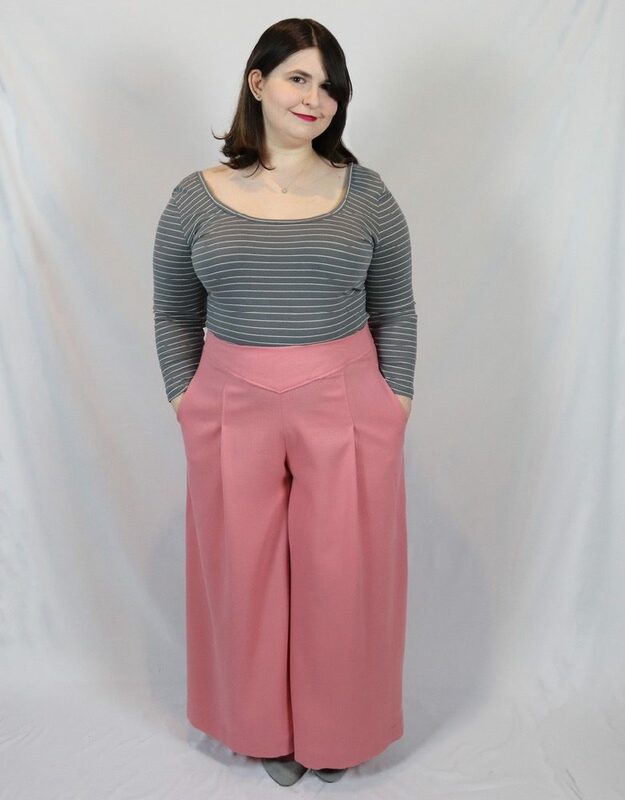 I also wanted it to be a low-intermediate sewing level pattern, and the side-zip and pockets pushed it into a slightly more complicated category. But if you know how to do that it’s easy to adapt the pattern. Oh wow! These are all so wonderful! I think I like View A best (with the high waist), especially when there is more fabric to show off like Naomi’s yellow! Personally, I like best the matching two-piece that Mieh did the best. I have a weakness for “matchy matchy” in the best way. Oh, and I second the call for fun pocket-liners! These are all amazing! 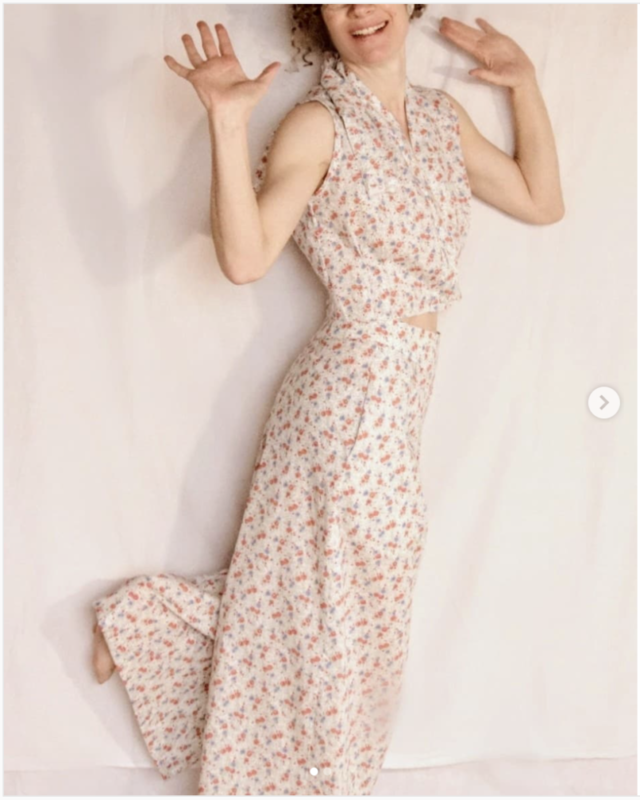 Definitely adding to my must sew list! 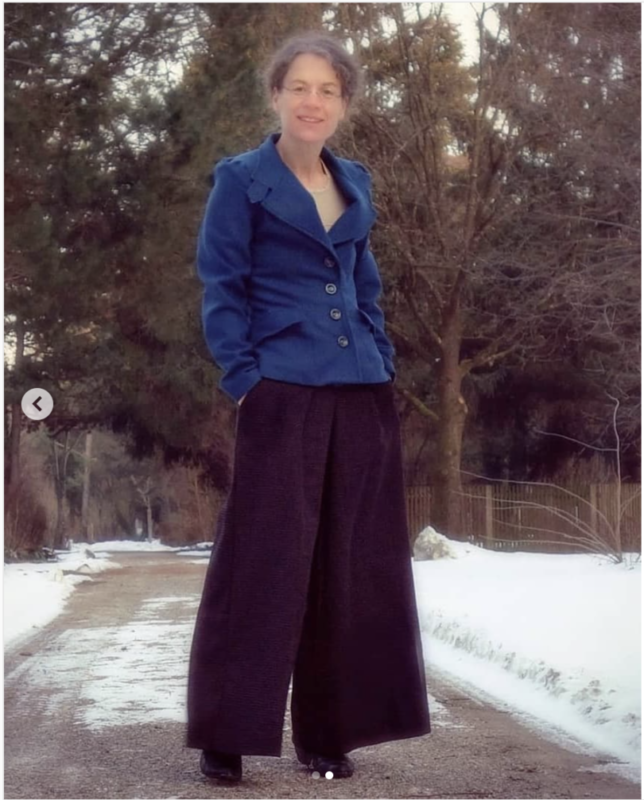 They made so many cool pairs of pants didn’t they! Thank you and hope you enjoy the pattern when you get to it! 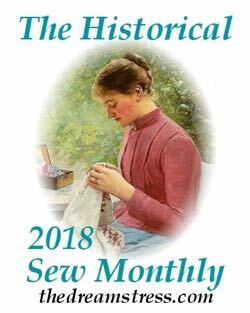 I like @SewingGoatherd’s version the best. 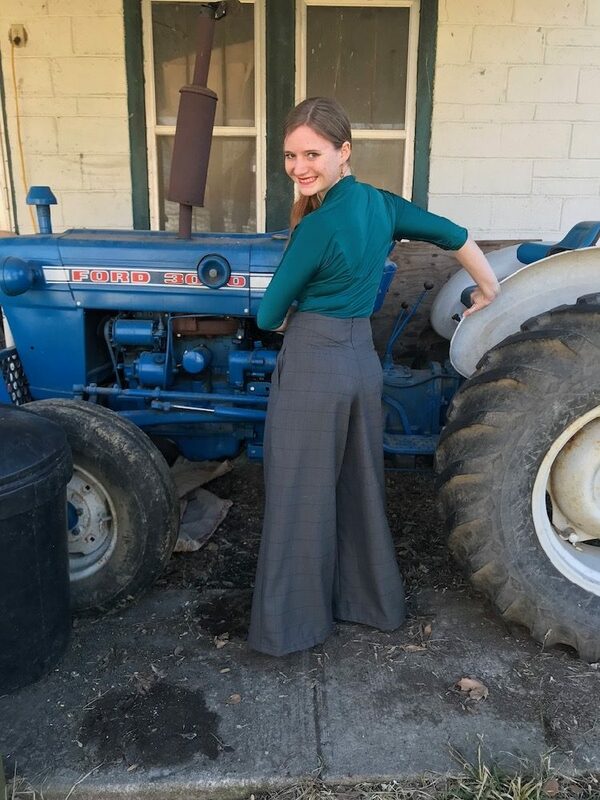 I also love the way she shows it in the photos–note that the teal blue of her Miramar top picks up the delicate teal plaid of the trouser fabric.